We are thrilled to announce Unique Cakes, by Yevnig have been chosen by Savoy Weddings by Bruce Russell to provide luxury wedding cake services to London’s most famous hotel. “We are delighted to recommend wedding suppliers like Yevnig to our brides & grooms – passionate about her craft, her professional nature, and of course delicious cake, make her a perfect fit!” – Claire Bowpitt, Weddings Manager at The Savoy. 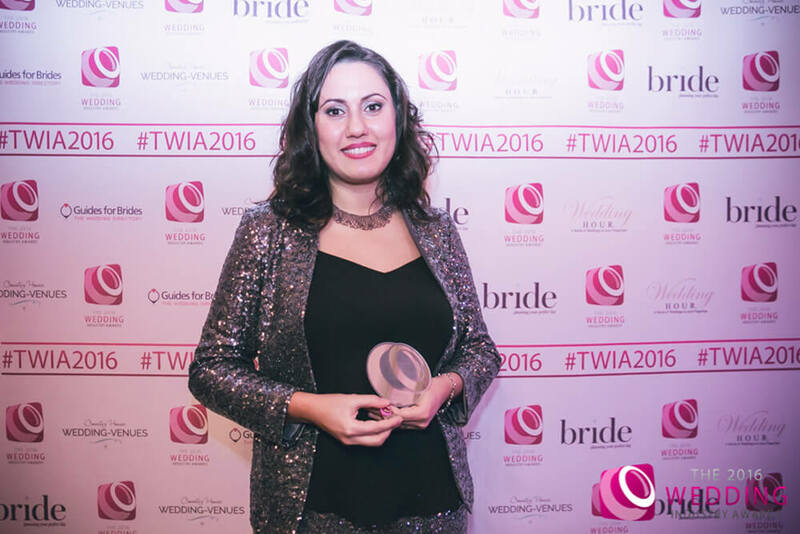 “This year has certainly been full of excitement… Being crowned as Best Cake Designer for London and the South East at the 2016 Wedding Industry Awards and now being welcomed into the distinguished Savoy Weddings team, is simply breath-taking. Some mornings I am pinching myself to check it’s not all a dream! I originally visited the hotel back in 2008 when enjoying a production at The Savoy Theatre. At that time, the building was undergoing major works with many areas closed to the public. When I revisited the hotel for the first time since the complete renovation, I was awe-struck at the rich and majestic architecture of this beautiful building as I walked through those famous revolving doors! Stepping inside the grand reception, the venue spoke to me with its heritage and architectural opulence. Such amazing surroundings and vibrant ambience of the bars, ballrooms and halls will provide me with great inspiration for truly magnificent cake designs! It will be a real pleasure working with the philosophies and rich history of The Savoy, creating bespoke cakes that perfectly match the wonderful backdrop of this iconic hotel and its aspirational clients”. Savoy Weddings is run by acclaimed wedding planner Bruce Russell, supported by an amazing team of professionals. Offering a truly personal service from start to finish, they are on-hand all the way; inspiring, guiding and arranging every intricate aspect, to create unique and magical wedding memories that last a lifetime. At the forefront of wedding trends, Savoy Weddings have close relationships with the UK’s most prestigious bridal suppliers, ensuring the finest names are recommended to suit their client’s very particular requirements. The Savoy rightly receives the accolade of being “London’s most famous hotel”, boasting 268 rooms decorated in either Edwardian or Art Deco style with panoramic views of the River Thames across Savoy Place and the Embankment. Opening on 6 August 1889, the first truly luxury hotel in Britain introduced electric lights throughout the building, electric lifts, bathrooms in most bedrooms, constant hot and cold running water and many other innovations; establishing an unprecedented standard of quality in hotel service, entertainment and elegant dining. 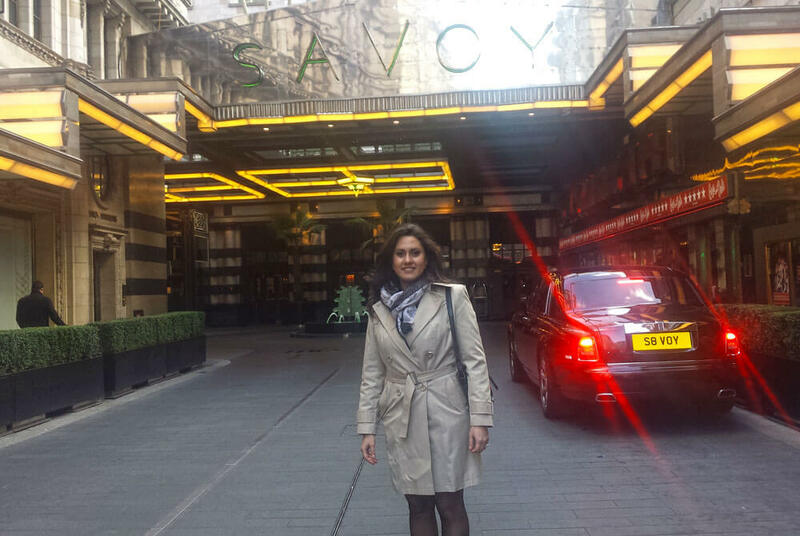 Attracting royalty and other rich and powerful visitors over the years, The Savoy continues to welcome esteemed guests. Winston Churchill often took his cabinet to lunch at the hotel and other famous guests have included Charlie Chaplin, Noël Coward, Frank Sinatra, Judy Garland, Laurence Olivier, Marilyn Monroe, John Wayne, Humphrey Bogart and Elizabeth Taylor and attracted musicians such as Jimi Hendrix, Bob Dylan, The Beatles, Elton John, Led Zeppelin, The Who, U2 and many more. The Savoy Pier is just a few steps from the riverside entrance, allowing wedding celebrations to extend out onto the world-famous river Thames. Guests can arrive in style by luxury yacht, or host a party of up to 500 on board the stunning Silver Sturgeon. Or of course, be chauffeur-driven to the famous main Strand entrance in the hotel’s special Savoy Rolls-Royce. Naturally, Unique Cakes, by Yevnig are truly honoured to be welcomed to The Savoy. One of the grandest and most romantic addresses for a wedding in London, if not the World.